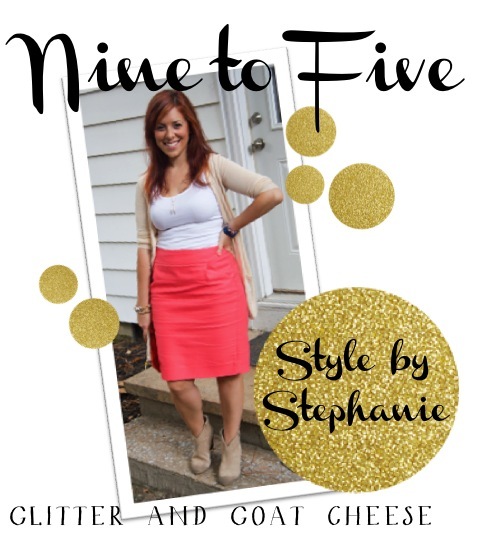 Alex and I are thrilled to be featuring Stephanie, from Glitter and Goat Cheese for today's Nine to Five. Steph is an Atlanta girl, who knows how to keep it cool in the sweltering heat. She even rocks ankle booties year round. This girl has some serious style. Be sure to check out her recent escapades in house hunting and home decorating on her blog as well as her Q&A with Alex over at the saga of a twenty-something. I am very jealous of this look! I call it "professional glam" and certainly cannot pull it off! Stephanie--fancy a trip to California to go shopping and make a list of outfit combinations for me? Any time, lady! You're on! Only if you gimme your amazing maxi skirt collection! 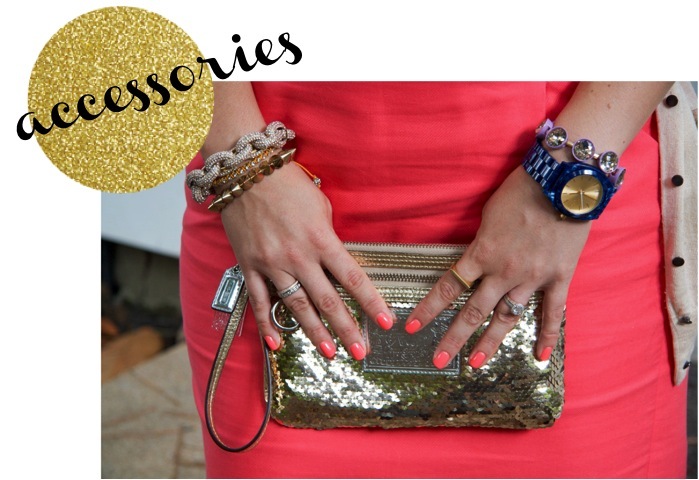 literally drooling over all that arm candy...some one needs to come to DC and help me figure this trend out! With so many people practically slumming it at work these days or opting for jobs where they can work in their pajamas, it's no nice to see a trendy but workplace appropriate look. Love! Love this look. You look super cute!